What is the Albany Postcard Project? 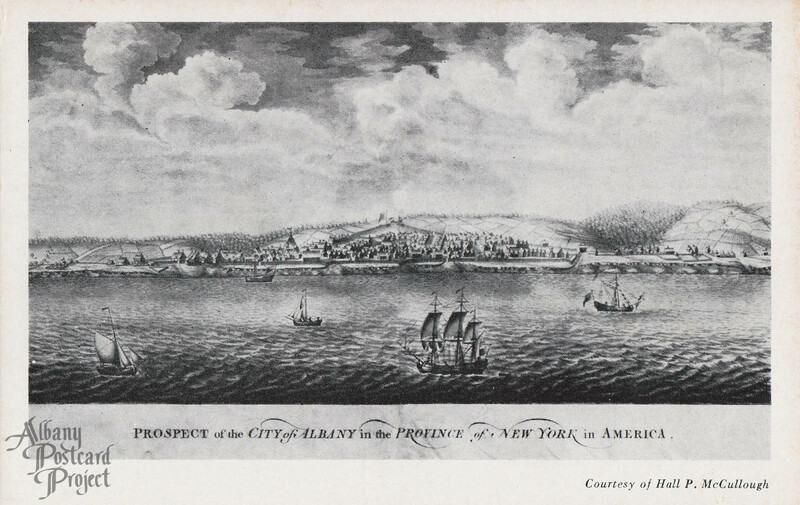 Postcard Notes: The earliest known view of Albany shows the old Dutch Church prominently in the distance. The stockaded town has Fort Frederick at the top. The wooded ravine at the left if the Beaver Kill, where Hudson Avenue is today. Foxen Kill wood, at right, is the location of present Sheridan Avenue.